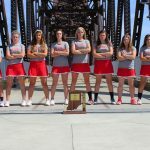 Friday, May 1, 2015 4:30 PM New Albany High School AWAY 0 Jeffersonville High School HOME 0 Meet Recap This match was cancelled. Wednesday, April 1, 2015 4:30 PM Scottsburg High School AWAY 0 Jeffersonville High School HOME 0 Meet Recap This match was a pre-season scrimmage. Jeffersonville is looking forward to the first actual match!